Home News GDPR: The long-awaited savior, or just another problem? What does the Bulgarian web say? Like with every spring new beginings happen, this way in May came the GDPR. The European Union’s General Data Protection Regulation (GDPR) aims to protect the personal data of users. The protection of our personal data was frequently discussed recently on various platforms, and the Bulgarian internet was no exception from this. In the article, with the help of the Neticle online media monitoring system, we reviewed what the Bulgarian web though about the upcoming GDPR, during the first quarter of 2018. We will uncover whether Hungarians or Bulgarians are easier to scare, and we shall see why Facebook was put into the limelight of this discussion. The wheels were set in motion in January, the GDPR topic surfaced in some form almost everyday, however the media only properly ran with it towards the end of the month: January 30th saw more than a hundred mentions. Specifically, news outlets were the most interested, and the mentions were mostly informational/educational. They reminded the readers that the GDPR is coming up, and they discussed how research indicates, that Bulgarian companies are not prepared for this change in regulation. Thanks to the approaching deadline, April generated significantly more mentions, but there are still only a few hits that are alarmed by the situation – even though there is plenty of fuel for drama: even the smallest mistake can earn a huge fine for companies. Moreover, online communities kept their calm despite the fact, that the regulation will affect not only the gigantic corporations with an army of legal advisors and lawyers, but also small blogs, online platforms and webshops. This is not necessarily the default reaction, for example on the Hungarian web, the GDPR topic set off alarm bells. The difference between the two countries can be seen clearly on Neticle’s unique Web Opinion Index (WOI). On the Hungarian internet, the general attitude towards the GDPR was much more negative, many concentrated on the unpreparedness of companies and the hefty fines. Meanwhile, Bulgarians acknowledged the upcoming deadline, but there was no panic around it. Not only did the Bulgarian mentions were less negative than those from Hungary, since January, the Web Opinion Index was constantly positive. The focus of the GDPR news and discussions was mainly on how it will affect big social media sites, especially Facebook. This comes as no surprise, after the Cambridge Analytica scandal, which prompted many users to question Facebook’s views on the protection of personal data. Quite a few articles talked about the GDPR as a prince charming, riding in on his white horse, rescuing our personal data from Facebook. This connection was made despite the fact that the change in regulation was announced years ago, and it’s a simple accident that the Cambridge Analytica scandal happened to come to light around the same time these changes were scheduled to take effect. After Facebook broke their trust, it is no wonder that many people welcomed the GDPR changes with gratitude. 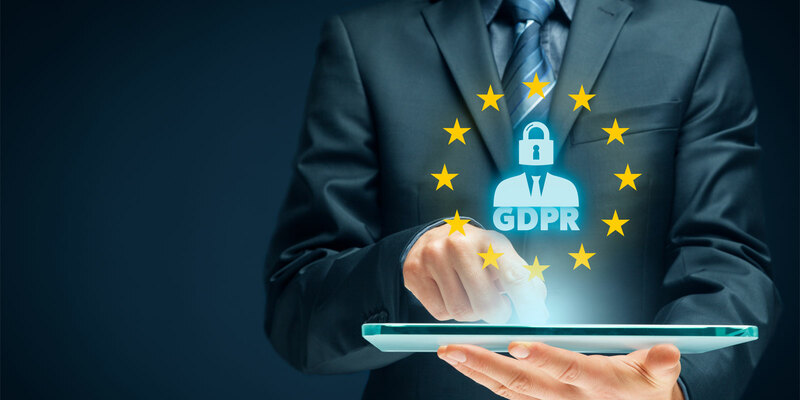 Multiple platforms hosted discussions saying, that the protection of personal data is a new and complex issue, and GDPR can be a way to address some concerns. However, not everyone is so hopeful. Some thinks that smaller companies can get the short end of the stick, and many are worried that the GDPR changes will pave the way for potential abuse/misuse. Which side is right? Those who believe that the GDPR is a fair effort when it comes to protecting personal data and that these changes will not hinder companies in their work after the initial adaptation phase? Or the minority (in Bulgaria at least) that think that the negative side of GDPR outweighs the benefits? Until then, if you would like to know what the web thinks about your industry or even your own brand, then try out Neticle’s online media monitoring system for free! In addition, United Partners is already GDPR compliant regarding gathering, keeping and working with personal data for campaigns for its clients due to its partnerships with both platforms Prowly и HubSpot.